Born in 1935, Juanita Fragua grew up at Jemez Pueblo and later attended Santa Fe Indian School. She has been active as a potter since about 1950. 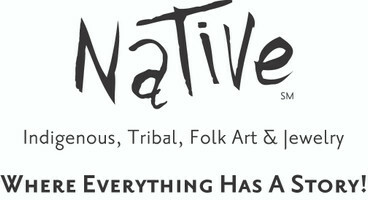 She has exhibited her work at the SWAIA Indian Market in Santa Fe since 1982. Juanita is one of the foremost potters responsible for the renaissance pottery. She has been making traditional pottery for over 25 years, beginning at a time when sun-dried poster-painted pottery was the norm at Jemez Pueblo. This pot is hand built using the coil method, no wheel or mold used. Painted by hand with black slip. Pueblo Pottery is for the collector and is not meant for daily use, do not clean, wash or use, dust only.